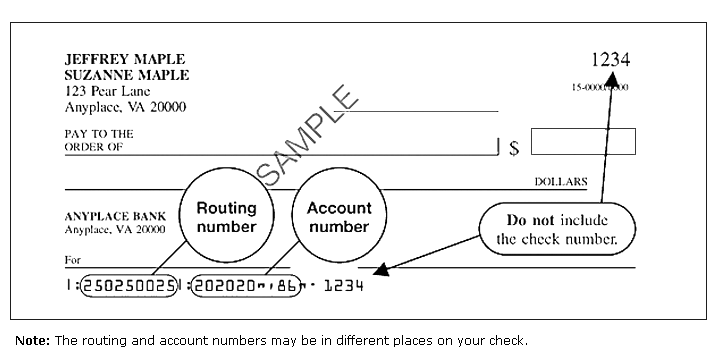 Routing Transit Number: Taxpayers should keep their financial institution’s routing transit number handy, which runs from 01 through 12 or 21 through 32. On the sample check below, the routing number is “250250025”. Bank Account Number: Taxpayers should enter the correct bank account number not exceeding the 17 digits limit. The number should be entered from left to right and leave the unused boxes also omitting the hyphens, spaces, and special characters. Type of Account & Amount: Taxpayers need to mention the type of account (savings or checking) along with the total amount that is to be deducted from the bank account. Keep in mind that certain financial institutions do not allow EFW from savings account. Therefore, it is advisable to check with the respective bank to avoid any hassles. About Us: Easily E-File HVUT Tax Form 2290. Secure online filing of HVUT Form 2290… only at Tax2290.com. Tax2290.com is the first IRS certified and verified service provider to E-File HVUT Tax Form 2290 online. We are an entirely web-based provider for filing HVUT Tax Form 2290 online. We provide 24/7 customer service through email and chat. E-file your HVUT Tax Form 2290 online and get your IRS tax Form 2290 schedule 1 copy with a watermark stamped within minutes. Get started now with us and Tax2290.com will guide you through the process to filing HVUT Tax Form 2290 online. We are here to help if you have any questions regarding filing HVUT Tax Form 2290 online.